Although unattractive, this is a common issue that many people struggle with. Puffy eyes occur for many different reasons including underlying health issues and environmental factors. While temporary fixes such as cooling eye masks and creams may work, a more personalized solution is often needed to provide long-term relief. Figuring out the root cause of puffy eyes is the key to having healthy eyes. When your eyes appear puffy, there is a greater amount of fluid in the area around your eyes. This is called edema. The skin around the eyes is thinner than your other skin so any extra fluid or dark coloring will be more prominent. If you are experiencing puffy eyes consider the following reasons why your eyes may be suffering. 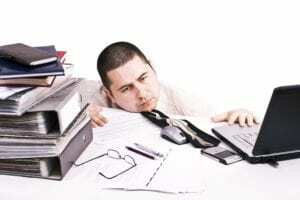 Stress can alter our overall health and our eyes can suffer just as much as the rest of our body. If you are stressed and not sleeping well, the salt level in your body can change. If the salt level increases and is off balance, your eyes can retain fluid. The extra fluid will cause your eyes to have a puffy appearance. When your eyes water, you discharge salty tears. These are the same tears that help protect your eyes on a normal, day to day basis. These tears normally do not overflow onto your face. When you cry excessively, those tears are created by the lacrimal gland which is located in the upper, outer corner of the eyelid. These tears are waterier than our normal salty tears. Emotional crying usually involves the watery tears flowing down our face. The excess water flows into ocular tissues and makes them swell. If you are trying to remove your tears or hide them, chances are you are rubbing your face and eye area. Rubbing your eyes makes them even more red and swollen. Depending on the severity and length of your crying, your eye puffiness should go away fairly quickly. If you sleep on your stomach, you will notice eye puffiness when you wake up in the morning. The area under our eyes is the first place we normally retain water. Sleeping on your stomach enables the force of gravity to retain more water under our eyes. You can also notice fatigue before you go to sleep. Water can pool underneath your eyes after a long day of work, eating salty foods or due to lack of exercise. You may also notice more puffiness before bed as you age. The aging process causes us to lose elasticity in our skin. The loss of tightness under our eyes gives water retention more surface area causing puffiness to be more apparent. During the day, eye fatigue can be caused by everyday activities including driving, reading, and writing. Exposure to bright lights or trying to complete tasks in dim light can also cause fatigue. If you work in front of a computer or always have your smartphone in view, you may be unconsciously causing eye fatigue. Using digital devices can cause excessive strain on the eyes since you fail to blink properly when using digital devices. 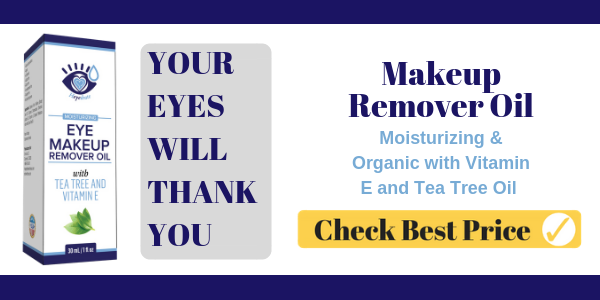 Blinking naturally moisturizes the eyes. After using digital devices for a long period of time, you may notice your eyes are irritated, dry, or even itchy and burning. Sometimes we consume food that has a high sodium content. 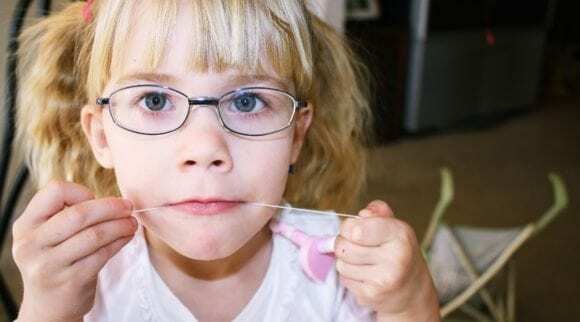 This can cause swelling and other issues in different parts of our body. Excess salt causes uncomfortable bloating and retention of fluid. Excess salt is primarily found in fried foods and processed foods that are generally found in the center isles of the supermarket. Once you are able to cut down your salt intake, you should also experience better overall health. If you are experiencing puffy eyes due to the consumption of too much salt, the remedy is simple. Cut down on the amount of salt you are consuming and see if that helps with your bloating and swollen eyes. If you have ever stayed out late and consumed too much alcohol, you may have woken up to puffy eyes the next morning. Excessive alcohol causes our skin to suffer from dehydration and if you continue to drink excessively over a long period of time you could do some serious damage to your skin. Excessive drinking also has an effect on your organs. It can cause your organs to age quicker than they should, causing internal damage that cannot always be reversed. Even though alcohol can put us to sleep, we never really reach a deep level of sleep after a night of drinking. 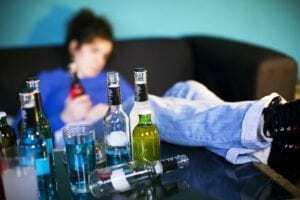 Our body has to focus on metabolizing the alcohol and that can cause shallow sleep patterns. The dehydration alcohol causes can also aid in skin discoloration or skin spots and wrinkles. If you do choose to stay up late drinking, try to alternate your alcoholic drinks with a glass of water. The water will help rehydrate the skin and counteract the alcohol’s after-effects on the skin. You can also apply an under-eye moisturizer before you go to bed to help reduce eye puffiness that appears the next morning. 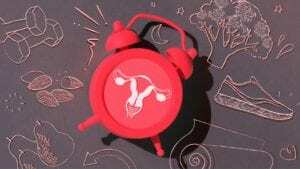 During the menstrual cycle your body can retain excess water causing bloating and swelling. This is also true about your eyes. If this swelling does not go away after a few days, it is caused from menstrual cycle changes and you should investigate the cause further. Seasonal allergies are particularly harsh on your eye area. When your body reacts to an allergy it releases histamine. This histamine can cause inflammation to the eye area, leaving your eyes itchy, dry and puffy. In the winter we often use heaters to keep us warm. Unfortunately, heaters contribute to dry air that can cause our eyes to become dry, red and inflamed. The lack of moisture around our eyes can cause the eyes to become puffy and irritated. When you have a sinus infection, fluids do not drain well. When fluids aren’t draining, this leads to inflammation and fluid retention. Since our sinuses connect our nasal and eye area, not only does our nose swell when we have a sinus infection, but our eye area gets puffy too. 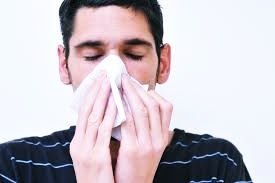 If your sinus infection is mild you can treat it with one of the following remedies: over the counter allergy medications, cold cloths, corticosteroids, a slight elevation when sleeping, irrigating your nasal passages, using room humidifiers and reducing the amount of sodium and alcohol you consume. If your sinuses have chronic issues, you may need stronger medication or even an outpatient procedure like balloon sinuplasty. If you think you may have chronic sinus issues, it is best to find a sinus center that specializes in sinus problems so they can give you a variety of treatment options that fit your needs and lifestyle. When the body is deprived of water, the brain and eyes are the first to take the hit. 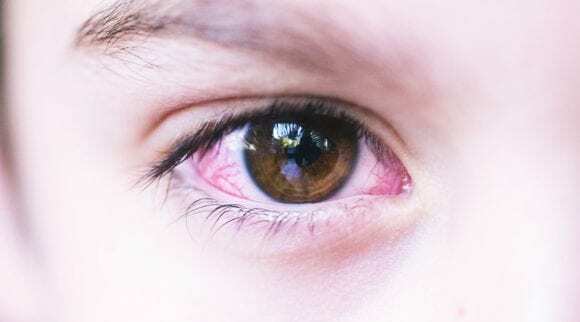 When not enough water is supplied to your eyes, the following can occur: not enough blood supply, swelling, blurry vision, and corneal changes. The lack of water causes the cells to shrink and not give you the nutrients you need for energy, growing, replicating and communicating. Once a steady flow of water is restored to the body, the above conditions can easily be reversed. If drinking plain water is hard for you, consider trying coconut water. Coconut water has many healing properties and is a great alternative to plain water to hydrate the body quickly. After you feel rehydrated, do not keep drinking water at a fast pace. 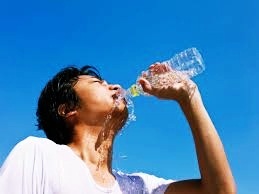 It is not necessary to over hydrate yourself; doing so can cause additional problems. Try not to drink soft drinks if you feel dehydrated. Soft drinks have a low water content and can even cause you to feel more dehydrated. As a baseline, we recommend consuming half your body weight in ounces of filtered water per day, meaning 75 ounces for a 150 pound person. 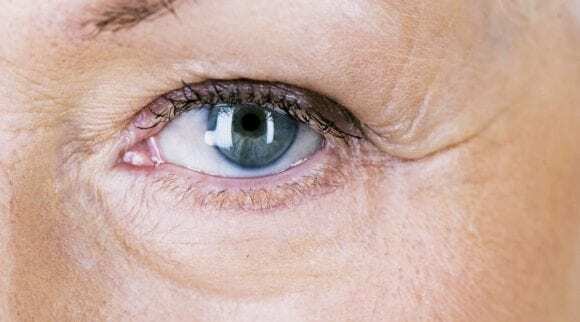 As you age, you might experience more prominent and permanent bags under your eyes. This is very common. As you age, the tissues around your eye area and muscles that help support your eyelids become weak. 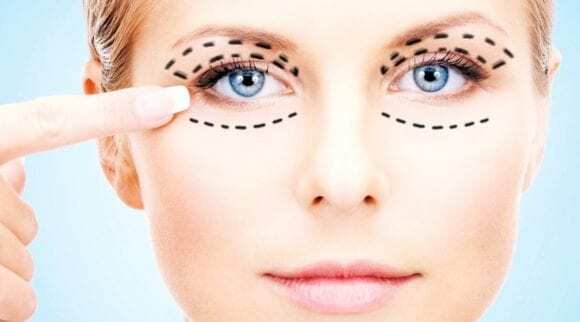 Fat that once supported your upper eyelids can migrate into the lower eyelids causing them to look puffy in appearance. Under eye bags are a common cosmetic issue and rarely are a sign of a serious medical condition. For mild case, compresses and under eye serums are an option while more severe cases may request eyelid surgery. 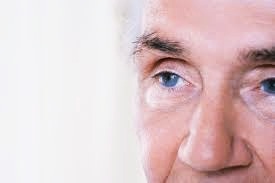 As aging can cause under eye bags to alter your appearance, there is little you can do about natural aging of the skin. 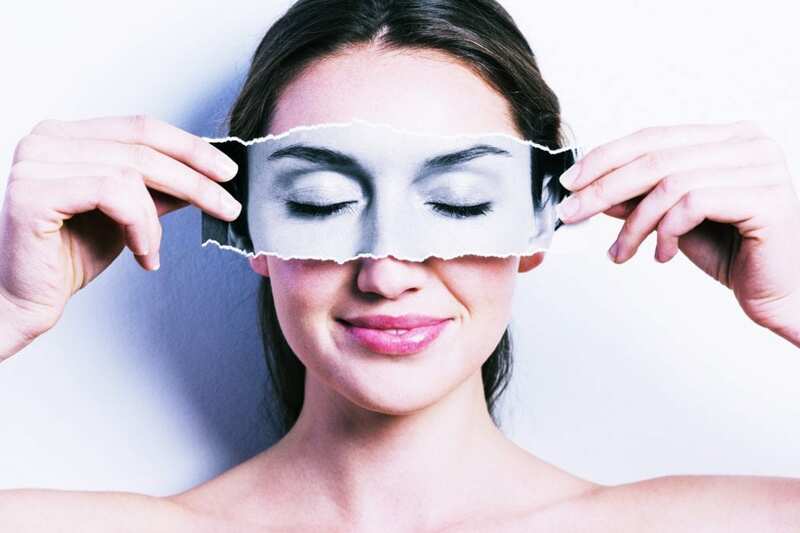 Lifestyle changes such as getting more sleep and not smoking will not completely cure signs of aging but can help reduce the amount of puffiness. However, if you notice severe swelling (that impairs vision), pain, itchiness or redness, you should schedule a visit with your doctor to rule out an infection, allergy or underlying issues with your thyroid. Puffy eyes can be a symptom of an overactive thyroid. If you have been diagnosed with this condition in the past or feel you may have developed this condition, it is important to make an appointment with your doctor. 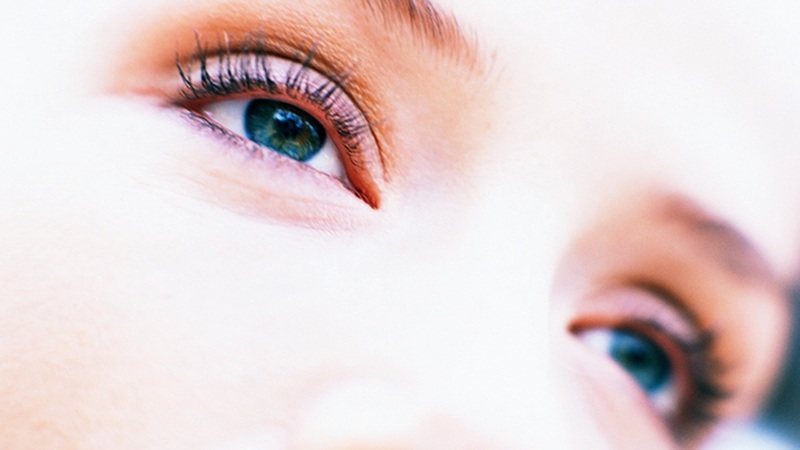 If you are experiencing puffiness in your eye area in your 20s and 30s, chances are that puffiness is due to genetics. The general shape of your under-eye area can affect your under-eye creases. If as a child you experienced deep under eye creases, chances are these will carry through as an adult and may make you appear tired looking. The depth of the creases under your eye correlate with how much support you have. The less support you have, the deeper the creases will be and the more you will deal with eye puffiness and under eye bags. 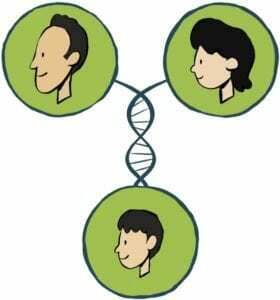 Unfortunately, if genetics are playing a part in your deep eye creases, lifestyle changes might not be able to reverse puffy eyelids. The older you get, the more support you will lose and the more tired your eyes will look. 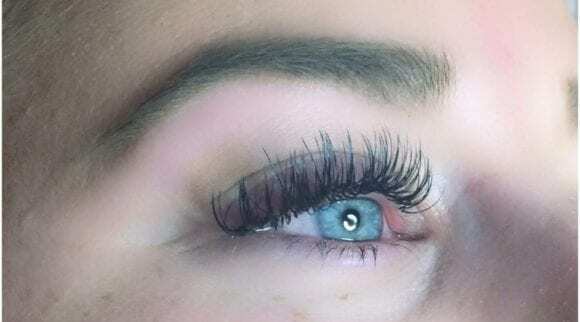 If you are in your 20s or 30s and feel like your eyes are making you age in appearance, there are three treatment options available for severe cases. You can try using creams and cosmetics to mask the creases. You can try a non-surgical option that involves micro-injections and non-permanent dermal fillers or you can elect for surgery that physically cuts and stretches your skin for a more youthful appearance. 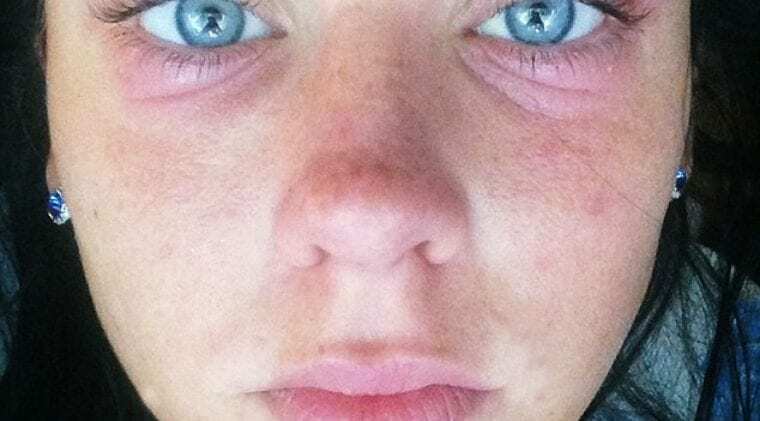 How Can You Treat Puffy Eyes? Now that you know the different causes and conditions of puffy eyes, you should learn how to properly treat the problem so your eyes can feel hydrated and refreshed. There are several lifestyle changes and home remedies you can try if your condition is mild. We have chosen our favorite treatments below. As always, if you have pre-existing medical conditions, additional symptoms or the treatments below are not helping your puffy eyes, we recommend seeking help from your doctor. Your doctor can properly diagnose your condition and help you get the correct treatment. When you do not drink enough water, your body gets dehydrated and in response starts to retain water. Your body tends to swell when it retains water, causing your eyes to look puffy. It is important to drink at least 8 glasses of water every day to safely remove excess toxins from your body. This will not only improve your eye health but your overall health as well. Most temporary eye puffiness is caused by a buildup of lymphatic fluid. The buildup is often seen in the morning after your eyes have been stationary during sleep or after a long day at the office staring at a computer screen. The eyes need to blink and the absence of that process can cause fluid buildup. This fluid buildup can be drained by simple exercise, movement or massage. Try sleeping with your head propped up and use the benefits of gravity to reduce the buildup of fluids. Simply massaging your eye area or getting in a few minutes of exercise can dramatically change the way your eyes look and feel. If you need relief right away, consider using a basic cold compress. It is perfect for tired, puffy eyes and can even rejuvenate you after a long day. Simply place some ice in a clean, soft cloth and place over your eye area. Alternatively, you can use a frozen package of vegetables or a gel ice pack or even a gel baby teether. Even better, grab yourself a Heyedrate Eye Compress, which can be placed in the freezer for a few hours before giving you cooling relief. If you are an avid eye drop user and prefer to start your day moisturizing your dry eyes, consider keeping the eye drop container in the refrigerator. The cold eye drops will wake you up in the morning and even provide a little spa treatment without adding an extra 15 or so minutes to your morning routine. Tea leaves contain anti-irritant properties that can help reduce swelling, remove redness and relieve irritation. After brewing your tea, save two of the tea bags and store them in the fridge. When you need to soothe your irritated eyes, take the used tea bags out of the fridge and apply them to your eyelids for at least 15 minutes. Taking a few minutes to close your eyes and letting the tea soak in also creates a calming effect and can relieve stress. Caffeinated tea contains tannins which can help increase your blood circulation. It is recommended to do this treatment twice a week for better eye area health. If you happen to have chamomile tea in your pantry, this is the recommended type of tea for soothing puffy eyes. Not only does the tea have anti-inflammatory properties but it will also keep excess bacteria from building up around your eye area. However, chamomile is a common allergen, if you are allergic just stick to regular black or green tea bags. Cucumber have been used for years in spas and at home for a quick eye pick me up. The cucumbers have natural antioxidants and flavonoids that reduce swelling and tighten the skin around your eye area. To soothe your eyes, simply wash a fresh cucumber to remove any dirt or toxins, cut the cucumber into slices and place on your closed eyelids. You can also keep slices in the fridge for an added cooling effect. If you are out of cucumbers, potatoes are another option to soothe your aching eyes. Potatoes contain starch. This starch helps reduce swelling. You can grate the potato into small pieces and place inside a cloth. Place the cloth on top of your eye area and allow it work for several minutes. Sometimes finding a cucumber or potato to chop up is not feasible. Luckily, when you need a soothing eye treatment you can also use chilled metal spoons. Place 5-6 spoons in the refrigerator until chilled. Take out 2 of the spoons and place the rounded side on your closed eyelids until the spoon becomes warm. If you need additional treatment, simply grab a couple more spoons out of the refrigerator and repeat. 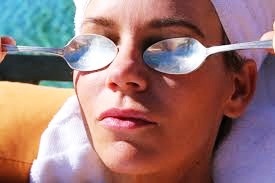 The cold metal spoons will relax swollen blood vessels and help to keep the skin tight around your eye area. Using a beaten egg white around the eye area is a great mask that will help tighten and tone the skin. It can also help with circulation and decrease inflammation. It is best to apply the egg white using a brush or your clean fingers and allow the egg white to rest on your skin for 10-15 minutes before rinsing it off with warm water. 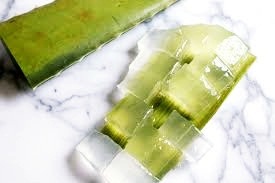 Aloe is great for so many things and is a miracle healer for troubled skin. It contains 18 essential amino acids and is a great barrier against bacteria and toxins. Soothe your tired eyes by placing a thin layer of aloe around your eye area. Bonus, it might even reduce the look of wrinkles too. Rose water has long been used as a skin refresher. It contains vitamins A and C and natural flavonoids. Use rose water as a natural astringent and anti-inflammatory. Rose water can be purchased online or from health food stores. If you would like to make your own, simply simmer some rose petals in a shallow pan of distilled water. Take the pan off the burner once the petals have lost their color. Strain the liquid immediately and allow the mixture to cool. Once cooled, pour the mixture into a reusable bottle. Place the rose water mixture on a cotton ball and gently dab around the eye area for soothing relief. Any leftover rose water is best stored in the refrigerator, where it will keep for about two weeks. Witch hazel is very affordable and can be found at department, grocery and drug stores. Witch hazel can quickly reduce eye area swelling and redness. You can even use Witch Hazel chilled for an extra calming effect. Saturate a cotton pad with witch hazel and place for 5 minutes on closed eyes. Witch hazel is also great for reducing oil and acne on the face. 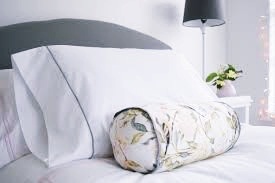 Frequently washing your pillowcase will help keep dust and allergens at bay. This is especially true for your eyes as they can be easily irritated when you are sleeping on that same pillow for 8 hours every night. 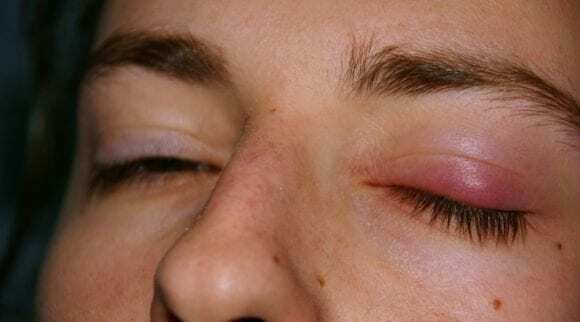 If your eyes become red or itchy while sleeping, do not rub them. Look into allergy remedies that may help reduce your symptoms. Facial soaps, moisturizers, cosmetics and even clothing detergents can all affect the health of your eyes. Do your best to choose products that are fragrance free and also do not contain excess chemicals likes dyes and parabens. Daily exposure to these chemicals can irritate your eyes. If you continuously suffer from puffy eyes and you have ruled out a larger medical condition, you should consider modifying your lifestyle and diet to keep your eyes healthy. 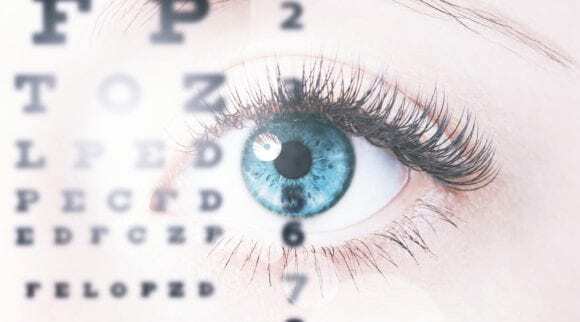 It is important to note that most people suffer from dry eyes at least once in their lifetime and mild cases that pop up and go away easily are normal and generally not a cause for concern. If your eye puffiness is mild, try one of the natural remedies above to soothe your puffy eyes. It is always best to try a natural method of healing before using over-the-counter or prescription products that may contain excess chemicals. Sometimes we may experience puffy eyes that do not go away or continue to worsen. If this happens, it is wise to seek help from your doctor. Your doctor can properly diagnose your condition based on seeing you in person for an office visit, going over your medical history and cross-checking any known allergies. If you are currently suffering from puffy eyes, make sure to take it easy and let your eyes rest. If you wear contact lenses, remove them and wear glasses until the puffiness go away, if possible. If you use digital devices for a long period of time, try to take frequent breaks so your eyes can blink and have a chance to rehydrate themselves. 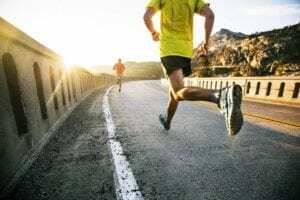 If your diet or exercise routine needs a boost, consider taking some time for yourself to improve your lifestyle or ask a friend or family member to join you to destress. Puffy eyes do not have to be a part of your everyday appearance. Taking the time to find the underlying cause will help you gain confidence regarding your outward appearance and feel better overall.